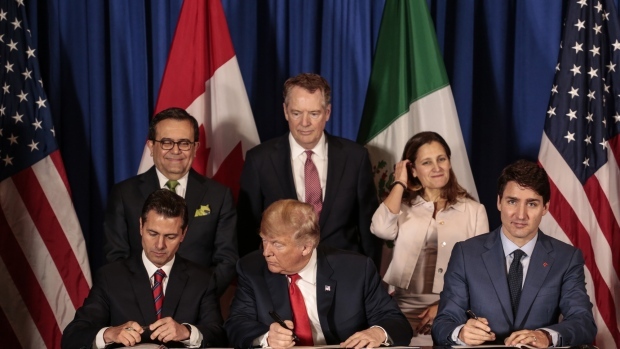 President Donald Trump said he would soon tell Congress of plans to terminate the existing North American Free Trade Agreement, a move that would give lawmakers a six-month window to ratify a new regional trade pact signed on Friday between the U.S., Canada and Mexico. “I will be formally terminating NAFTA shortly,” Trump told reporters late Saturday aboard Air Force One as he returned from the Group of 20 summit in Argentina. “So Congress will have a choice between” the new deal, known as the U.S.M.C.A, or potentially no continental trade deal at all.